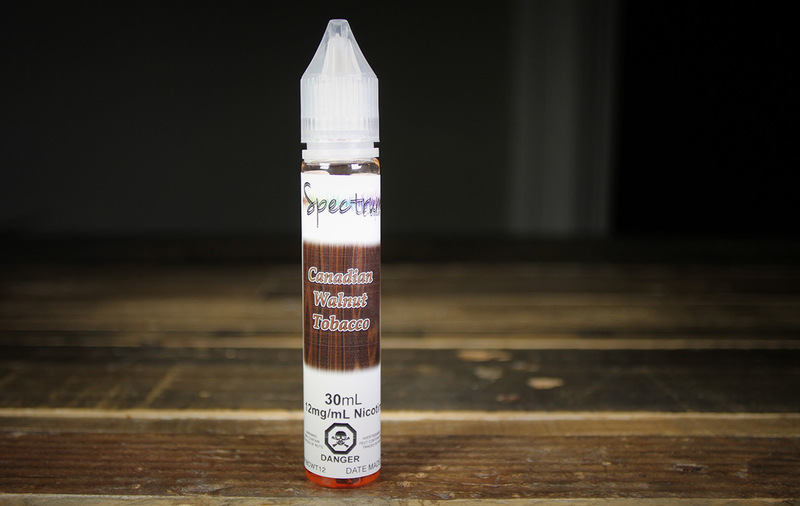 Spectrum has a bit of a cult following for their Canadian Walnut Tobacco and for a couple good reasons. One, it tastes so damn good. We are not big into Tobacco vapes and this one is hard to put down even for us. Two, the 60PG/40VG offers a juice that is not only great for pod systems, it gives a rather satisfying throat hit. Three, it’s not only affordable, but vapes pretty clean for how intense the flavour is. This is a go to juice for the new vaper, but shouldn’t be ignored by any one who loves an awesome well balanced juice packed with flavour. Now if only the label art stood up to how good this juice is (needs a major overhaul in our opinion). Either way this juice should not be ignored, damn fine!